Whether you're just getting started with lead guitar, or you're a pro player looking to rekindle or expand your creativity, Pentatonic Plus is your ultimate guide to the myriad possibilities that surround the familiar pentatonic scale. 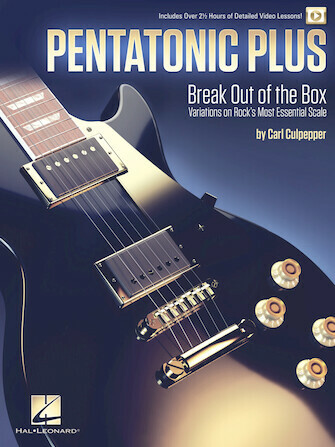 Including hours of comprehensive video lessons by guitar author and teacher Carl Culpepper, this book/video teaching system presents pentatonic connections and concepts through a variety of scale applications, licks, solos, techniques and tips that will take your soloing skills to new heights. Time to break out of the box! All of the written playing examples in the book are presented in standard notation and tablature and demonstrated on video with in-depth breakdowns. Includes over 2-1/2 hours of video lessons!